While working for a client, I was once asked to put into a slide all the “problems” of a dysfunctional team. As a consultant for over 15 years, this was one of the most difficult tasks that I have been asked to do. How do you put all these issues down without offending specific team members? How to make this slide without looking like a list of grievances and no solutions? How do I make the slide without me sounding as if I’m the know-it-all and judge? In order to make this slide, I looked for first for a “framework” that can help to diagnose High Performing Teams from Dysfunctional Teams. The framework becomes the “judge” without it becoming personal or condescending. 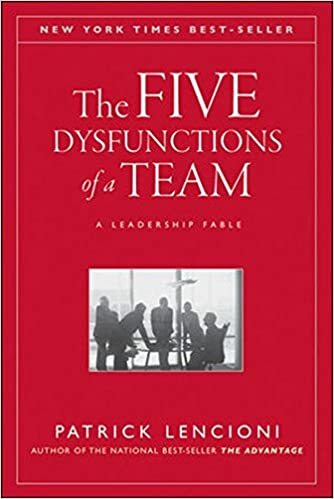 The 5 Dysfunctions of Teams by Pat Lencioni was the “perfect” fit for this situation. Please click here for the free slide template. Slide 1 describes the 5 Dysfunctions in a Pyramid structure with examples on either sides — framed in Positives (High Performing Teams) vs. Negatives (Dysfunctional Teams). Slide 2 is where you can put down specific “issues” (Negatives) and present the alternative solutions — presented as Recommendations or Mitigations (Positives). I highly recommend the book by Patrick Lencioni which is filled with great illustrations and examples. Here is the link to the book on Amazon. There is a manga version of this book for those of you who work with Japanese teams. It is particularly relevant for Japan because it is strictly forbidden in their culture to be so “direct” in presenting the “Dysfunctional” behaviors. This offers a way to steer the conversation towards improving team dynamics and avoiding personal attacks, which can be viewed as public shaming – a big “no-no” in the Japanese workplace. Here is the link to the manga illustrated book on Amazon. 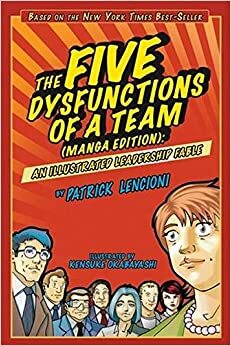 Lastly, if you have about 30 mins time, please check out the video of Patrick Lencioni explaining the concepts of the 5 Dysfuctions here.